In this year’s Global Handwashing Day celebration, Safeguard has partnered with one of the most prominent personalities in the country today to bring attention to the importance of proper and habitual handwashing. The nation’s leading soap together with the “Pambasang Bae” Alden Richards join forces to educate Filipinos on the importance of handwashing through the power of a song. Alden Richards teams up with Safeguard as they launch the newest Christmas jingle “5 Hugas ng Krismas” that invites every Filipino to make it a habit to wash their hands in these 5 “hugas non-negotiables” — before “mano”, after using the toilet, before eating, after playing and before bonding. And more importantly, to spread the love and not the germs this holiday season. Alden himself sang the handwashing song and invites every Filipino to make it a habit to unfailingly wash their hands with Safeguard in these 5 “hugas non-negotiables” — before “mano”, after using the toilet, before eating, after playing and before bonding. And more importantly, to spread the love and not the germs this holiday season. If you’ve ever wondered the kind of impact personal hygiene really makes on the spread of germs and general health of the public, consider these sobering statistics gathered from the first Philippines Handwashing Index, a breakthrough study recently commissioned by the nation’s leading soap brand, Safeguard. 7 out of 10 Filipinos CLAIM to wash their hands after using the toilet but—ONLY 2 out of 10 really do. A shocking 64% of Filipinas DO NOT wash their hands at all after using a mall toilet. It was observed that 60% of females washed their hands with water ONLY before cooking. Before feeding the kids, 40% washed their hands with water ONLY. If these statistics seem particularly innocuous, keep in mind that one of the fastest ways to spread germs and diseases is by human contact and ingesting contaminated food. Clearly, Filipinos haven’t nurtured the habit of proper hand washing, and based on statistics, a great number do not care. There’s a great opportunity to educate citizens that washing hands with soap can effectively remove disease-causing germs and is the most basic way to prevent oneself from getting sick. 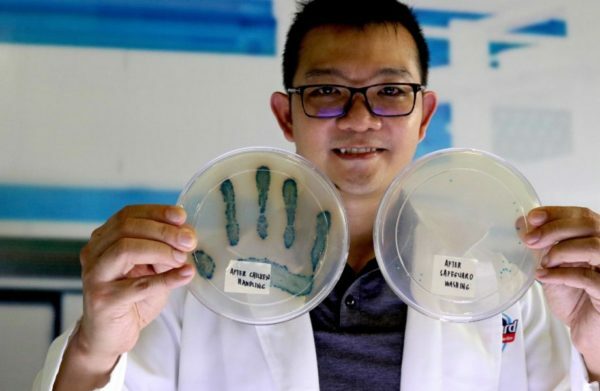 Safeguard Science Expert David Khoo explained the science behind germs through a live demo that exposes how Safeguard provides long lasting protection. The soap’s unique formula inhibits re-growth of a broad spectrum of germs. Did you know that 1.5 million children around the world die every year due to diarrhea? As shocking as it may seem, diarrhea is the second most common cause of death among kids. UNICEF has declared that pneumonia takes the lives 1.8 million children globally each year. Furthermore, in a study done by DOH locally, it has been found out that pneumonia is the number one cause of death among Filipino children of age 1-14 years. Believe it or not, the simple habit of proper handwashing with an anti-bacterial soap can be an effective way of reducing these incidents. With the arrival of the ber months, these facts will become even more worrisome. The holidays mean more frequent gatherings with friends and family—and with it, the chances of you spreading germs to others increase. “The results of the Philippine Handwashing Index indicate that Filipinos clearly haven’t nurtured the habit of proper handwashing. 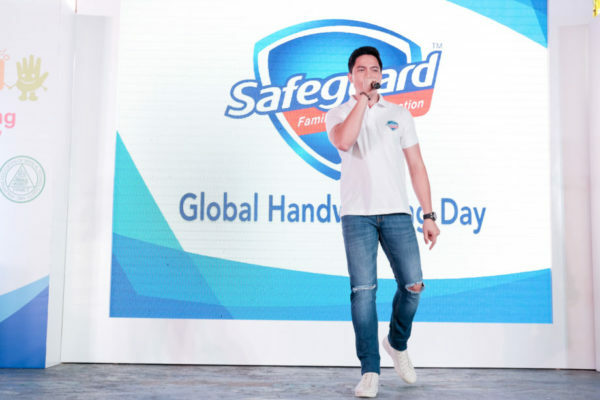 Which is why, Safeguard continues to take active steps to spread awareness on its relevance specifically through the Global Handwashing Day and through the new handwashing song with Alden Richards,” explains Jia Salindong- Du, Safeguard Philippines Brand Manager. Ultimately, this is a call for every Filipino to do their part in promoting handwashing to keep everyone healthy and protected from germs throughout this season. Make it a habit to wash your hands with Safeguard in these 5 “hugas non-negotiables” — before “mano”, after using the toilet, before eating, after playing and before bonding. Made especially for the holidays, Safeguard is launching its Christmas gift sets, which contain Safeguard Pure White Body Wash (400ML), Pure White Liquid Handsoap (225ML) and a FREE loofa. These limited editions packs will be available for only PHP 199 beginning October 15, 2017.